The Asian Canadian Writers' Workshop is so proud to see Catherine Hernandez complete her first novel. Catherine was co-winner of the Emerging Writers Award in 2015 with her manuscript Scarborough. The novel's name is a tribute to the community of Scarborough, a low-income, culturally diverse neighbourhood east of Toronto, which is also the fourth largest city in North America. Like many inner-city communities, it suffers under the weight of poverty, drugs, crime, and urban blight. 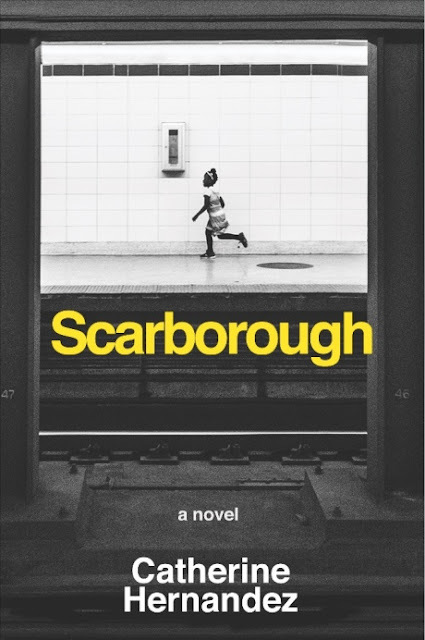 Scarborough the novel employs a multitude of voices to tell the story of a tight-knit neighbourhood under fire: among them, Victor, a black artist harassed by the police; Winsum, a West Indian restaurant owner struggling to keep it together; and Hina, a Muslim school worker who witnesses first-hand the impact of poverty on education. And then there are the three kids who work to rise above a system that consistently fails them: Bing, a gay Filipino boy who lives under the shadow of his father's mental illness; Sylvie, Bing's best friend, a Native girl whose family struggles to find a permanent home to live in; and Laura, whose history of neglect by her mother is destined to repeat itself with her father. In addition to being the co-winner of the Asian Canadian Writers' Workshop Emerging Writers Award in 2015, the book is also the finalist for the 2016 $50,000 Half the World Global Literati Award for best unpublished manuscript. It offers a raw yet empathetic glimpse into a troubled community that locates its dignity in unexpected places: a neighbourhood that refuses to be undone.